It’s Monday. I missed posting my photo of the week by one day. I just too tired yesterday to get it posted. 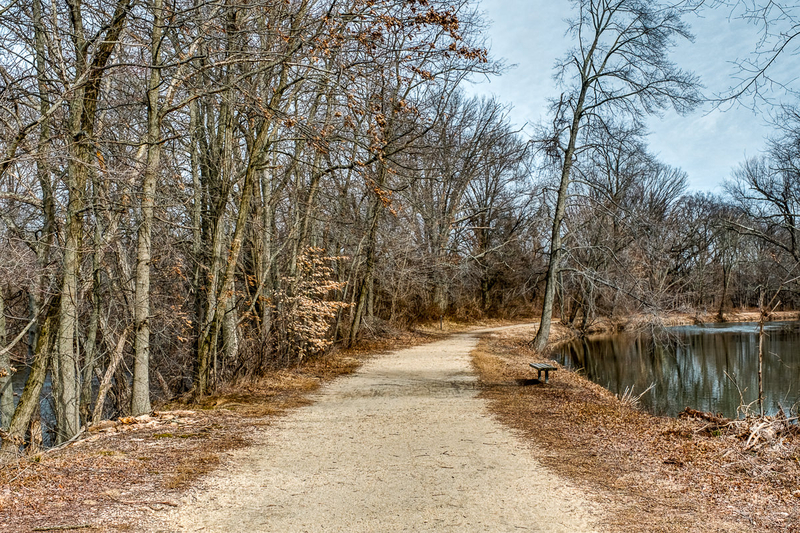 The featured image is from a set of images I captured yesterday while walking along the D&R Canal State Park Trail with Bhavna. I’m not sure why this particular image appeals to me. The colour of the path and the trees adds a feeling of warmth that was not present in the acutal. I think the park bench gives a sense of the scale of the scene. The image feels inviting.